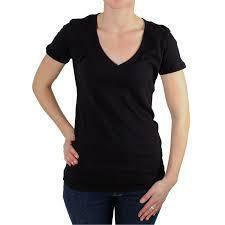 Our product range includes a wide range of ladies v neck t-shirt. We supply our products in premium and durable packaging so that they can be shipped safely over longer distances. We have hired the most brilliant professionals to ensure the fabrication of fashionable products. These apparels are flawlessly stitched using ultra-modern machines so that there is maximum client satisfaction. We offer the complete range of latest men, women, children and kids wear at the most competitive rates offering 100% customer satisfaction.